Ford kicked off Social Media Week in New York on Tuesday with the announcement that it is launching an updated version of its “Fiesta Movement” campaign, supplying bloggers, tweeters and other social media users with brand new Fiestas for six months and asking them to document the experience.Speaking at Bloomberg’s headquarters in Manhattan, Ford’s head of social media, Scott Monty, said 100 people, including some celebrities, would receive the cars in what he said was a “social remix” of the company’s 2009 campaign. The videos and photographs participants share on social media will contribute to Ford’s television and print advertising campaigns, Monty said. Ford’s first Fiesta Movement campaign in 2009 was seen as a success story in how big brands can use social media for advertising and marketing. The small hatchback was new to the US market, with the company using young people who had followers on social networks to spread the word. The company backed up the six-month loan with adverts on the web, TV and print. “All of the content that’s being created by these 190 individuals is going to be eligible” for television and print advertisements, Monty said. He described the campaign as “the next wave of where we go with social, and how we embrace the relationships along the way”. Applications opened on Tuesday, and the successful applicants will get their cars in April or May. Monty said the 2009 campaign “brought people to Ford” who were not traditional customers – predominantly young people at whom the Fiesta was aimed. The company got 132,000 people to sign up for updates on its website, 82% of whom were new to the brand, and 6,000 people pre-ordered the car when it came up for general sale, impressive figures for a model new to the market. 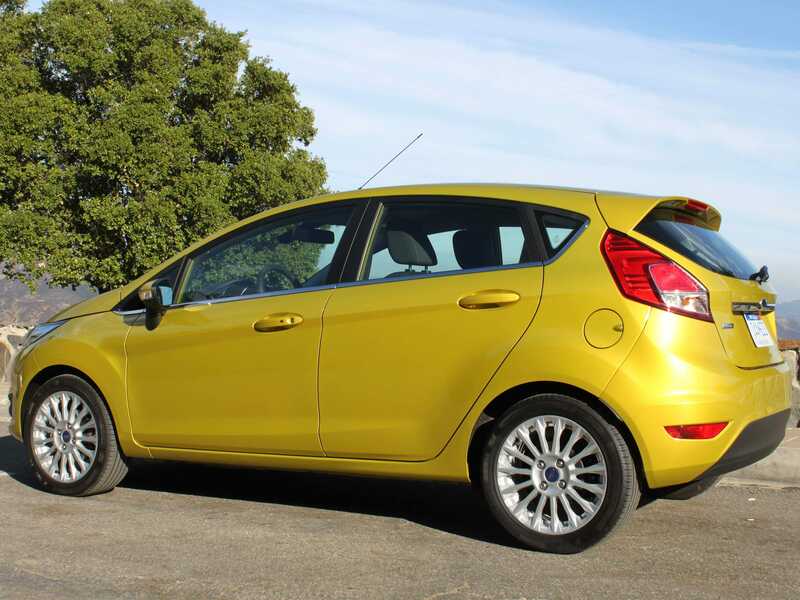 Despite the success of the launch, sales of the Fiesta tailed off, with Forbes contributor Dale Buss writing last April that the car had “experienced one of the most hyperbolic sales arcs of any significant new model in recent years”. Ford sold more than 23,000 Fiestas in just the second half of 2010 and more than 69,000 in 2011, but sales tailed off steeply through 2012. Ford blamed the continuing financial struggles of the young buyers at which the car was aimed and the introduction of a new Ford Focus which competed with the smaller model. Those wishing to become a Ford “agent” can apply through a specially established website, listing their presence across various social networking websites alongside a video application. An advertising video played at the Ford event on Tuesday said the 100 people will “create cool shareable content and become celebs of the social space”, with the possibility of seeing their faces “in print ads, and maybe even on TV”.